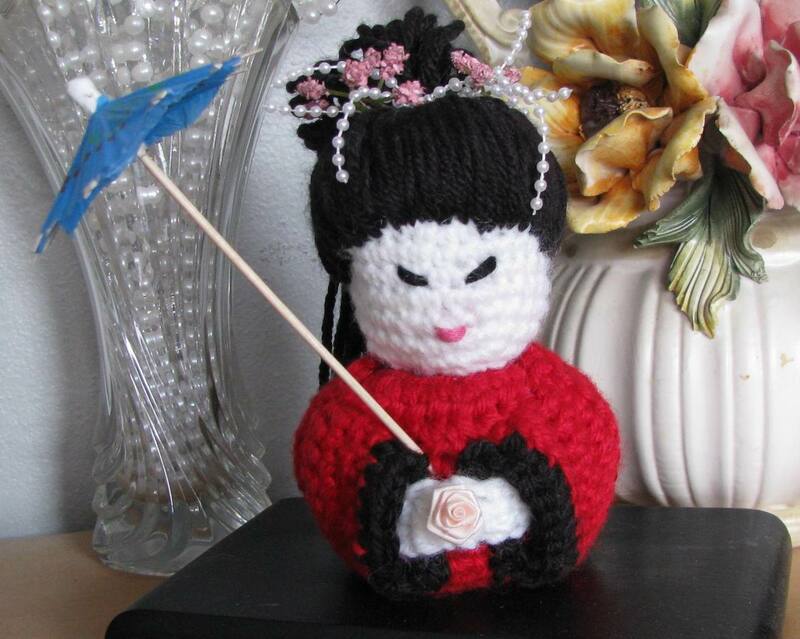 Here is my little Ami Geisha Doll. She stands 4 inches tall, tip to tip. 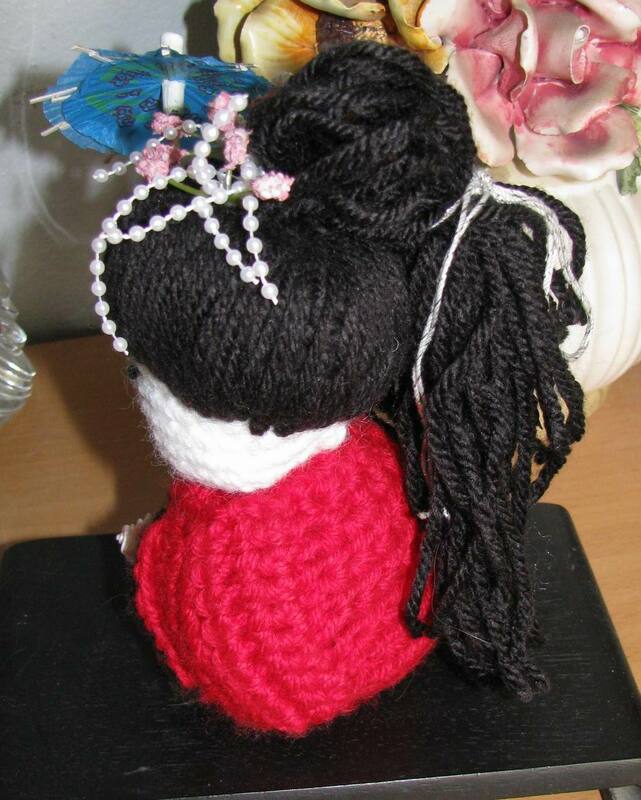 I am addicted to Amigurumi and creating my own designs. Once I get the patterns finalized, I will post them on my blog. She was really fun to make. Here is her side view. Very nice! I love how you’ve accessorized her. I love it! I have a soft spot for anything Oriental. I am also finding it soo adictive. I just wish I could crochet faster! Look forward to seeing your pattern. This is adorable. Love the hair! Thank you, you really feel a sense of accomplishment when you have your rough draft on paper then see it completed. I love putting the little details on my projects. I will post my pattern on my blog as soon as I finalize it. I really like that!! The hair is awesome. This is absolutely beautiful. You’re so talented! Thanks for sharing.